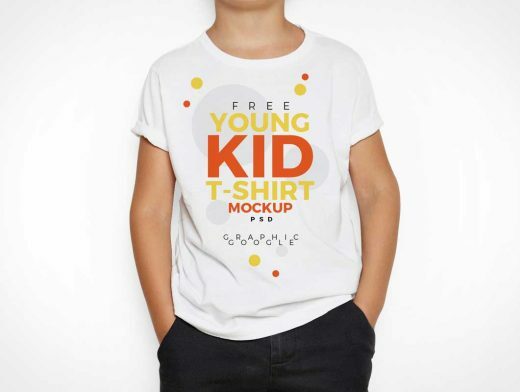 The fantastic mock-up of the day is Free Young Kid T-Shirt Mock-Up PSD. The impressive kid t-shirt mock-up is designed in Photoshop in such a way that you can make changes easily. This t-shirt mock-up is specially designed for kids fashion brands. It helps the textile, fashion and graphic designers to showcase their kids t-shirt designs by using the smart-layer. They can change the background and also change the color of t-shirt.